The Toyota Corolla LE CVT will provide you with everything you have always wanted in a car — Quality, Reliability, and Character. The look is unmistakably Toyota, the smooth contours and cutting-edge technology of this Toyota Corolla LE CVT will definitely turn heads. With the rugged strength of an off-road leader the exterior design achieves the summit of refinement. 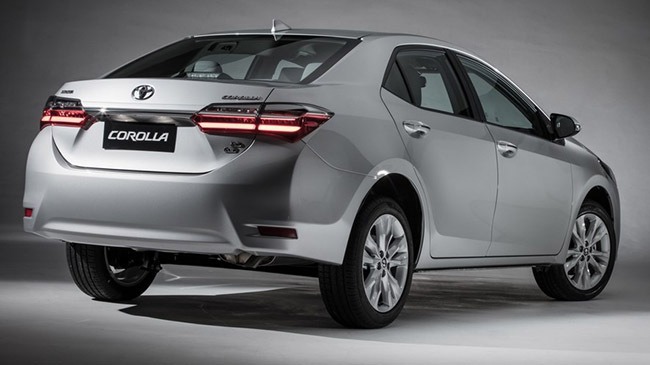 The exterior of the Corolla is bold and self-assured with a distinctive grille that makes it stand out on busy roads. Built to cope with the city roads as well as rougher roads you will have no problem negotiating any type of terrain. Safety was designed into the new Land Cruiser Prado from the start. Its chassis frame offers excellent impact protection while the low center-of-gravity, long wheelbase and wide wheel track give excellent handling and stability. A combination of active and passive safety systems ensures optimum protection for driver and passengers.